Children continue to be vaccinated with two doses of the live Measles/Mumps/Rubella (MMR) vaccine, without their parents being properly informed about their options by healthcare providers. In this regard, I have forwarded an email to Dr Steve Hambleton, President of the Australian Medical Association, see below. In regards to MMR vaccination, to summarise, according to the GSK PRIORIX Product Information Leaflet, most seronegative individuals are likely to seroconvert after the first dose of effective live Measles/Mumps/Rubella (MMR) vaccine. It must be given by a person with legal capacity, and of sufficient intellectual capacity to understand the implications of being vaccinated. It must be given voluntarily in the absence of undue pressure, coercion or manipulation. It must cover the specific procedure that is to be performed. It can only be given after the potential risks and benefits of the relevant vaccine, risks of not having it and any alternative options have been explained to the individual. Ironically, while an antibody titre test after live MMR vaccination would provide an opportunity to verify immunisation, parents in Australia are not being informed of this option at this time. I question why parents aren’t provided with this evidence-based option, instead of being coerced into having two doses of live MMR vaccine for their children, as ‘recommended’ on the National Immunisation Program Schedule. It is possible that some careful parents might prefer to pay for antibody titre testing, rather than have their child revaccinated with a likely unnecessary second dose of live MMR vaccine. In the state of New Jersey in the US, there is an “Antibody Titer Law” which gives parents a choice of an antibody titre test BEFORE they consent to a second dose of measles/mumps/rubella vaccine (see pamphlet attached.) Why aren’t all parents being informed about this option? Parents of small children might be surprised to discover that vaccination ‘best practice’ for companion animals is now more advanced than that for children, with international vaccination guidelines for dogs re live vaccines recommending antibody titre testing rather than an arbitrary ‘booster’, i.e. “…the principles of ‘evidence-based veterinary medicine’ would dictate that testing for antibody status (for either pups or adult dogs) is a better practice than simply administering a vaccine booster on the basis that this should be ‘safe and cost less’”. Dr Hambleton, an article in The Daily Telegraph (2 January 2014) notes that you applaud the new laws in New South Wales re vaccination. I suggest the AMA’s support for News Corp Australia’s extraordinarily crude ‘no jab, no play’ campaign is extremely problematic in that this authoritarian stance is forcing likely already immune children to have an arbitrary second dose of live MMR vaccine, without their parents being properly informed of their options. 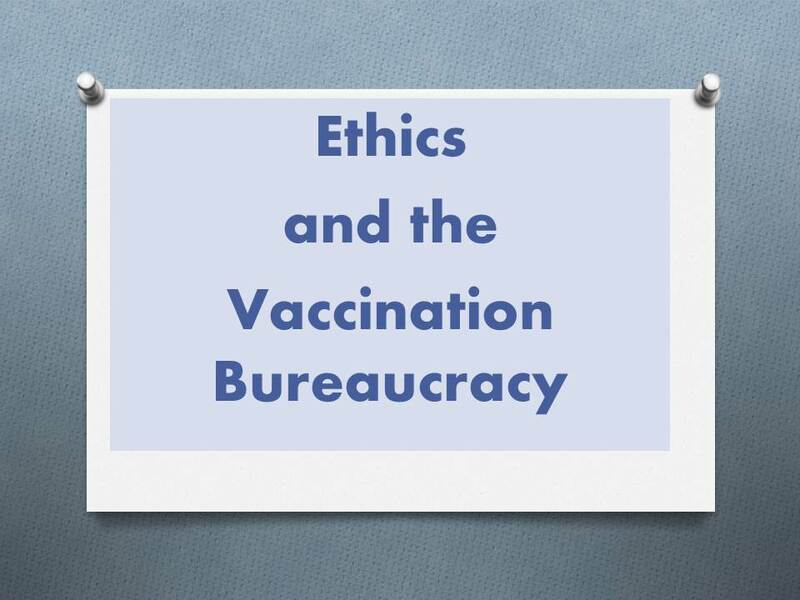 I question the ethics of coercing parents to have vaccinations of questionable benefit for their children. I request your consideration of the matters I have raised, including my letters to the NHMRC, and your urgent response on this matter. * Please note this correspondence will be circulated to other parties. This entry was posted in Australian Medical Association, Informed consent, Measles/Mumps/Rubella (MMR) Vaccine, NHMRC Australian Health Ethics Committee, Vaccination - suppression of dissent, Vaccine industry and conflicts of interest and tagged ATAGI, Australian Medical Association, conflicts of interest, GlaxoSmithKline, Ian Olver, measles, measles mumps rubella, MMR, NHMRC, NHMRC Australian Health Ethics Committee, over-vaccination, PRIORIX, PRIORIX-TETRA, Steve Hambleton, Terry Nolan, vaccination guidelines, vaccine industry, vaccine marketing, vaccine safety on May 3, 2014 by elizabethhart. On 15 April 2014, I forwarded a letter to Professor Warwick Anderson, CEO of the National Health and Medical Research Council (NHMRC). One of the functions of the NHMRC is to provide ethical guidance on health and medical research issues. In my letter to Professor Anderson, I suggest the ethical spotlight needs to be shone on the way vaccination policy and practice is being implemented in Australia, and I provide examples of the lack of transparency and accountability in the vaccination bureaucracy. In particular, I raise the problem of potential conflicts of interest and lack of disclosure by people involved in vaccination policy, followed by an example of parents being coerced into having a vaccine product for their children (i.e. the live Measles/Mumps/Rubella (MMR) vaccine second dose) without being properly informed about this vaccine, and their options. Professor Anderson, one of the functions of the NHMRC is to provide ethical guidance on health and medical research issues. I suggest the ethical spotlight needs to be shone on the way vaccination policy and practice is being implemented in Australia, and I request that you urgently address this matter. In this regard, I provide two examples of the lack of transparency and accountability in the vaccination bureaucracy. Various committees and groups provide advice to the Australian Federal Government on vaccine products which can result in the addition of new vaccine products to the national vaccination schedule. These groups wield enormous power. The members of these groups are part of a process that results in effectively mandating medical interventions (i.e. vaccinations) for healthy people. The decisions these people make affect not only children and adults in Australia, but can also impact internationally as the ripple effect of their decisions spreads around the world. The powerful influence of these groups raises serious political and ethical questions about their impact on the bodily integrity of citizens, particularly ‘pre-citizens’, i.e. children. As the decisions of these committees can result in massive sales of vaccine products for pharmaceutical companies, it is vital that the process of adding vaccine products to the national vaccination schedule is open and transparent, and that any potential ‘conflicts of interest’ of the members of these groups are accessible for public perusal. For example, a register detailing the history of any relationships with the vaccine industry, e.g. research grants, consultancies, honorariums, committee memberships, plus any shareholdings in vaccine companies, royalties received, directorships etc, must be publicly accessible. If a member indicates they have no potential conflicts of interest, this must be clearly recorded. At this time, publicly accessible information on potential conflicts of interest for members of vaccination committees and groups is severely lacking in Australia. I suggest this lack of transparency contravenes The Australian Code for the Responsible Conduct of Research, in particular sections 4.9 “Disclose research support accurately” and 7. “Conflicts of interest”. For example, since December 2012, I have been asking Professor Suzanne Cory, President of the Australian Academy of Science, for public access to disclosure statements for members of the Working Group and Oversight Committee for “The Science of Immunisation: Questions and Answers” publication, which was funded by the Australian Federal Government’s Department of Health and Ageing. Despite promises that this matter is being addressed, as at 14 April 2014, disclosure information is still not provided on the Academy’s The Science of Immunisation: Questions and Answers webpage. Similarly, on 26 November 2011 I asked then Federal Health Minister Nicola Roxon for details of membership of the Australian Technical Advisory Group on Immunisation (ATAGI), including their professional affiliations, and including any links with the pharmaceutical industry. While names of members of ATAGI and their affiliations are now published on the Immunise Australia website, there is still no disclosure information about potential conflicts of interest. I also raised this subject with Professor Terry Nolan, Chair of ATAGI, but he failed to address the matter. There is also a lack of transparency about other committees involved with vaccine products. For instance the Therapeutic Goods Administration (TGA)’s webpage for the Advisory Committee on the Safety of Vaccines (ACSOV) provides a list of members and affiliations, but there is little clarity re potential conflicts of interest of these people. In fact, it is very surprising to discover that this advisory committee on the safety of vaccines is chaired by Dr Nicole Gilroy, who is also a member of ATAGI. Is it appropriate to have a person involved with the appraisal of vaccine products for the national schedule also to be in a position to evaluate post-marketing safety issues? I suggest that this is inappropriate and that there is a potential for conflict of interest here. Another example of lack of transparency is the Pharmaceutical Benefits Advisory Committee (PBAC) webpage, which lists members of the PBAC and their affiliations, but again provides lilttle clarity re potential conflicts of interest of these people. Then there is the Australian Influenza Vaccine Committee (AVIC), which recommends influenza viruses to be used in the composition of influenza vaccines. There are currently no details of membership of this committee provided on the AVIC webpage on the TGA website, let alone disclosure of potential conflicts of interest. I have requested that the TGA provide publicly accessible information about this committee on the TGA website. I am awaiting developments on this request. These examples indicate there is a serious problem with a lack of disclosure of conflicts of interest that needs to be addressed. Inter-relationships between these groups should also be investigated. Copies of my letters to the NHMRC AHEC are attached and are also accessible via the following hyperlinks: Letter dated 12 April 2014 and Letter dated 19 March 2014. Please note that my letter dated 12 April 2014 includes reference to Dr Jeannette Young, who is a member of the Council of NHMRC by dint of her role as Queensland’s Chief Medical Officer. My letter criticises a letter forwarded by Dr Young to 13,117 parents in Queensland which stated: “Two doses of measles containing vaccine are needed to provide a high level of protection.” An article in The Courier-Mail on 15 April 2014, “Federal Health Department plan to send out vaccination reminder letters”, also refers to Dr Young’s letter to parents. I suggest it is misleading to tell parents that “two doses of measles containing vaccine are needed to provide a high level of protection”. As I have argued in my letters to the NHMRC AHEC, it is likely that one dose of effective GSK PRIORIX live MMR vaccine will provide protection for previously seronegative subjects, and this can be verified by antibody titre testing. Professor Anderson, vaccination/immunisation is an important ethical and political issue. We are on a slippery slope when potentially conflicted government vaccination bureaucracies dictate questionable medical interventions for citizens (including ‘pre-citizens’, i.e. children). It has been my experience that it is very difficult to question vaccination policy and practice in Australia, particularly due to the hostile climate created by the media. For example, in an extraordinarily crude campaign, News Corp Australia media is being used as a blunt instrument to bully parents into meek compliance with all vaccination ‘requirements’ stipulated by the government’s vaccination bureaucracy. Scientists Sir Gus Nossal and Professor Ian Frazer have played a part in this campaign. Crikey’s Bernard Keane also suggests “should we ban anti-vaccination talk?” Journalists in this country appear to be ill-equipped to critically analyse complex vaccination/immunisation issues, and instead are responsible for fostering a discourse which is polarised and not conducive to thoughtful discussion. Professor Anderson, Jillian Barr, Director of the NHMRC Health and Research Ethics Section, has advised me my submissions about the live MMR vaccine second dose will be considered by the NHMRC AHEC at its next meeting in early May 2014. I request that you also seriously consider the matters I have raised in this letter about disclosure of conflicts of interest, and evidence-based vaccination policy and practice. *Please note this letter will be circulated to other parties, and has also been published on my website. I also raised this matter with then Federal Health Minister Tanya Plibersek in an email dated 23 January 2012. This entry was posted in Informed consent, Measles/Mumps/Rubella (MMR) Vaccine, NHMRC Australian Health Ethics Committee, Vaccination - suppression of dissent, Vaccine industry and conflicts of interest and tagged conflicts of interest, GlaxoSmithKline, Ian Olver, measles, measles mumps rubella, MMR, NHMRC, NHMRC Australian Health Ethics Committee, over-vaccination, PRIORIX, PRIORIX-TETRA, vaccination guidelines, vaccine marketing, vaccine safety, Warwick Anderson on April 16, 2014 by elizabethhart. On 19 March 2014, I forwarded a letter to Professor Ian Olver, Chair of the NHMRC Australian Health Ethics Committee, challenging the Australian Government’s requirement for revaccination of children with a second dose of live MMR vaccine, as children are likely to be immune after the first dose of effective live MMR vaccine, given at the appropriate age (i.e. after maternally derived antibodies have waned). Jillian Barr, Director of the NHMRC Health and Research Ethics Section, has acknowledged receipt of my submission regarding the MMR second dose, and advised that this matter will be considered by the NHMRC Australian Health Ethics Committee at its next meeting in early May 2014. Professor Olver, in my previous letter to you, I argued that most children are likely to be immune after the first dose of effective live Measles/Mumps/Rubella (MMR) vaccine, and I challenged the Australian government’s requirement for children to have a second dose of live Measles/Mumps/Rubella (MMR) vaccine, which is linked to obtaining Immunisation Related Payments for Parents. In my letter I questioned the ethics of coercing parents to have vaccinations of questionable benefit for their children. Professor Olver, I suggest it is misleading to tell parents that “two doses of measles containing vaccine are needed to provide a high level of protection”. As I argued in my previous letter, it is likely one dose of effective GSK PRIORIX live MMR vaccine is likely to provide protection for previously seronegative subjects. A response to live MMR vaccination can be verified by antibody titre testing. I suggest there may be some cautious parents who would prefer to have an antibody titre test for their child rather than an arbitrary live MMR revaccination, and who might be willing to pay for an antibody titre test themselves. Yet, in contravention of The Australian Immunisation Handbook’s criteria for consent to vaccination to be legally valid, i.e. that any alternative options be explained to the individual, it appears healthcare providers are not informing parents about the option of antibody titre testing. In another jurisdiction, the state of New Jersey in the United States, the health department provides information on antibody titre testing. The Antibody Titer Law (Holly’s Law) allows parents to seek testing to determine a child’s immunity to measles, mumps and rubella before receiving the second dose of MMR vaccine. The law was enacted in response to the death of five year old Holly Marie Stavola who died of encephalopathy which she developed seven days after receiving her second dose of MMR vaccine. Holly’s family campaigned for this law, wishing they had known about the option of the antibody titre test before Holly’s arbitrary revaccination with the second dose of live MMR vaccine. Professor Olver, we are on a slippery slope when governments dictate questionable medical interventions for citizens (including ‘pre-citizens’, i.e. children). The arbitrary second dose of the MMR vaccine, often inappropriately described as a ‘booster’, is a questionable medical intervention. Vaccination/immunisation is a complex matter that requires thoughtful discussion, not the polarised discourse currently evident in Australia. I request that you and your AHEC colleagues urgently consider this matter. *Please note this letter will be circulated to other parties. Measles Alert. Letter to parents/carers from Dr Jeannette Young, Chief Health Officer, Queensland Government Department of Health, 17 September 2013. Antibody Titer Law – Information for Parents pamphlet. The Antibody Titer Law gives parents a choice BEFORE they consent to a second dose of measles, mumps and rubella vaccine. Queensland Department of Health Media Statement, 14 October 2013. This entry was posted in Adverse Reactions, Informed consent, Measles/Mumps/Rubella (MMR) Vaccine, NHMRC Australian Health Ethics Committee, Vaccination - suppression of dissent, Vaccine industry and conflicts of interest and tagged adverse events, adverse reactions, conflicts of interest, GlaxoSmithKline, Ian Olver, informed consent, measles, measles mumps rubella, MMR, over-vaccination, PRIORIX, PRIORIX-TETRA, vaccination guidelines, vaccine industry, vaccine marketing, vaccine safety on April 13, 2014 by elizabethhart. Further to my letter to the US Advisory Committee on Immunization Practices, challenging government mandated revaccination of children with the second dose of live Measles/Mumps/Rubella (MMR) vaccine. I have now forwarded a letter on this matter to the NHMRC Australian Health Ethics Committee, challenging the Australian Government’s requirement for revaccination of children with a second dose of live MMR vaccine, as children are likely to be immune after the first dose of effective live MMR vaccine, given at the appropriate age (i.e. after maternally derived antibodies have waned). The medical establishment, pharmaceutical industry, and governments are imposing an ever-increasing amount of lucrative vaccine products on healthy people. 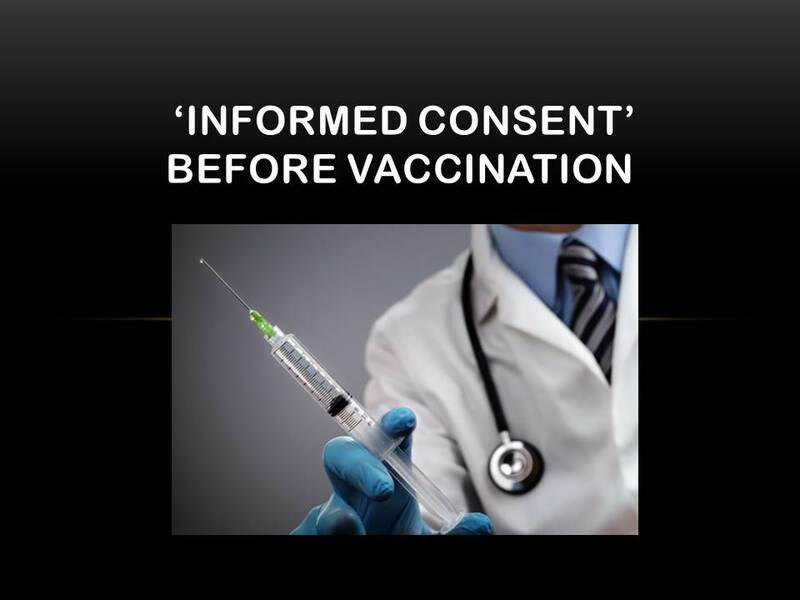 Vaccines are medical interventions and it is imperative that citizens give their ‘informed consent’ to these interventions. Children, i.e. ‘pre-citizens’, also have a right to bodily integrity, and it is essential that parents are properly informed before medical interventions for their children. See below my detailed letter forwarded to Professor Ian Olver, Chair of the NHMRC Australian Health Ethics Committee. The letter has also been forwarded to each member of the committee, see membership list also noted below. The Australian Government’s National Immunisation Program Schedule stipulates that children receive two doses of live measles/mumps/rubella (MMR) vaccines, and meeting this requirement is linked to obtaining Immunisation Related Payments for Parents. However, according to the GlaxoSmithKline PRIORIX Product Information leaflet, most seronegative children are likely to be immune after one dose of live MMR vaccine. I question whether parents are being given the opportunity to properly give their ‘informed consent’ to the second dose of the live MMR vaccine (or the MMR+varicella i.e. GlaxoSmithKline PRIORIX-TETRA MMRV vaccine) for their children. 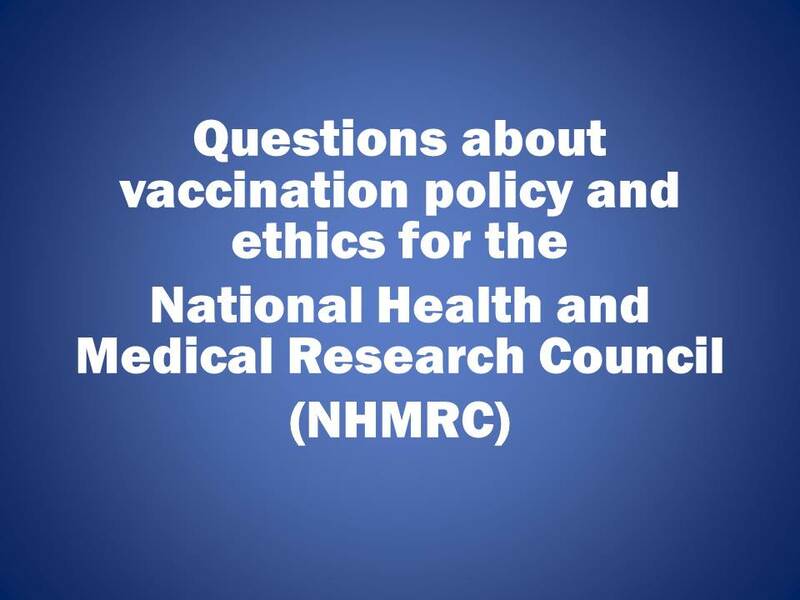 This question is particularly pertinent as adverse events have been reported after MMR and MMRV vaccination. I request that the NHMRC Australian Health Ethics Committee respond to me on this matter, and I provide further supporting information below. According to the PRIORIX Product Information Leaflet, in “a more recent study comparing the formulation of PRIORIX (albumin-free) with the previous formulation containing albumin, antibodies against measles, mumps and rubella were detected in 98.4, 94.8 and 100% of previously seronegative subjects (n=191)”. The leaflet also contains similarly high seroconversion rates from earlier studies. The PRIORIX Product Information Leaflet notes that: “Seroconversion has been shown to equate with protection against each of the measles, mumps and rubella viruses.” The National Immunisation Program Schedule recommends the first MMR vaccination at 12 months of age, so presumably it is expected that most children will be seronegative at this age, i.e. maternally derived antibodies will have waned. It is notable that neither the PRIORIX nor the PRIORIX-TETRA Consumer Medicine Information leaflets contain information on the reportedly high seroconversion rates after live MMR vaccination. Does this indicate that parents are not being informed of the reportedly high seroconversion rates after vaccination of previously seronegative children with the PRIORIX MMR vaccine product? It is also notable that there is no reference to the option of antibody titre testing to verify a response to MMR vaccination in either the Consumer Medicines Information leaflet or the Product Information leaflet for PRIORIX or PRIORIX-TETRA. What are the ramifications here for ‘informed consent’? 1. It must be given by a person with legal capacity, and of sufficient intellectual capacity to understand the implications of being vaccinated. 2. It must be given voluntarily in the absence of undue pressure, coercion or manipulation. 3. It must cover the specific procedure that is to be performed. 4. It can only be given after the potential risks and benefits of the relevant vaccine, risks of not having it and any alternative options have been explained to the individual. Professor Olver, I question whether parents are being properly informed by healthcare providers before administration of the second dose of measles, mumps and rubella vaccine, (whether via the MMR or MMRV injection). In regards to point 2 above, I suggest parents are being pressured/coerced/manipulated to have the vaccine via the reward of Immunisation Related Payments. While the Immunise Australia website notes that “benefits can be received without a child being fully immunised” this is only the case after completion of an Immunisation exemption: Medical contraindication form or Immunisation exemption: Conscientious objection form. I suggest that neither of these forms in their current format is appropriate in the case of the questionable second dose of the live MMR vaccine. In regards to point 4 above, I question whether parents are being properly informed of the potential risks and benefits of the second dose of the MMR vaccine. There are no benefits to the child if the child is already immune after the first dose. There are risks, i.e. possible side effects, as detailed in the PRIORIX and PRIORIX-TETRA Consumer Medicine Information leaflets and Product Information leaflets. Are healthcare providers bringing this information to the attention of parents (and others)? Reports of adverse events after MMR and MMRV vaccination have been submitted to the TGA’s Database of Adverse Events. (Refer to reports attached.) For example a TGA list of adverse events after vaccination with PRIORIX, generated for the dates 1 January 2012 to 20 November 2013, indicates 674 adverse event reports were made in that period. 253 of these cases occurred in four year olds. Other age groups, (including adults), also reported adverse events after vaccination with PRIORIX. As it is likely many of these children had already been vaccinated with PRIORIX at 12 months of age and were likely already immune, (if the PRIORIX MMR vaccine is as effective as claimed), they underwent revaccination for no benefit. The MMRV vaccine was added to the Australian Government’s National Immunisation Program Schedule in July 2013, for vaccination of children at 18 months of age, after vaccination with the MMR at 12 months of age. A TGA adverse event list generated for the dates 1 July 2013 to 20 November 2013 shows 80 reports of adverse events after vaccination with the PRIORIX-TETRA MMRV vaccine product. If the children involved in these reports had already been vaccinated with the PRIORIX MMR vaccine at 12 months of age, again it is likely they were already immune to measles/mumps/rubella. Again in relation to point 4 above, I also question whether “alternative options”, e.g. antibody titre testing to verify a response to MMR vaccination, are being explained to parents by healthcare providers. 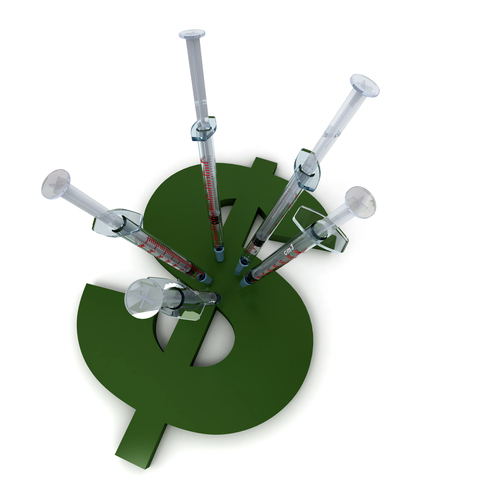 It is possible that some careful parents might prefer to pay for antibody titre testing, rather than have their child revaccinated with a probably unnecessary second dose of live MMR vaccine. Parents of small children might be surprised to discover that vaccination ‘best practice’ for companion animals is now more advanced than that for children, with international vaccination guidelines for dogs re live vaccines recommending antibody titre testing rather than an arbitrary ‘booster’, i.e. : “…the principles of ‘evidence-based veterinary medicine’ would dictate that testing for antibody status (for either pups or adult dogs) is a better practice than simply administering a vaccine booster on the basis that this should be ‘safe and cost less’”. Professor Olver, I question the ethics of coercing parents to have vaccinations of questionable benefit for their children. According to the vaccine manufacturer’s data, it appears most seronegative individuals are likely to be immune after the first dose of MMR vaccine. It appears likely from TGA adverse event database information that children (and possibly adults) have suffered after revaccination with a second dose of MMR vaccine. I suggest there has been inadequate research undertaken on the possibly deleterious long-term effects of repeated vaccination, and so unnecessary vaccination should be avoided. Database of Systematic Reviews 2012, Issue 2. Art. No. : CD004407. DOI: 10.1002/14651858.CD004407.pub3. This entry was posted in Adverse Reactions, Advisory Committee on Immunization Practices (ACIP), Informed consent, Measles/Mumps/Rubella (MMR) Vaccine, NHMRC Australian Health Ethics Committee, Vaccine industry and conflicts of interest and tagged adverse events, adverse reactions, Advisory Committee on Immunization Practices, conflicts of interest, GlaxoSmithKline, Ian Olver, informed consent, measles, measles mumps rubella, Merck, Merck M-M-R II, over-vaccination, PRIORIX, PRIORIX-TETRA, vaccination guidelines, vaccine industry, vaccine marketing, vaccine safety on March 24, 2014 by elizabethhart. As I have argued previously on Over-vaccination.net, it’s likely that most children will be immune after the first dose of the live Measles/Mumps/Rubella (MMR) vaccine. However, mass populations of already immune children are being arbitrarily revaccinated with a second dose of the live MMR vaccine because a small proportion of children may not have responded to the first dose. In other words, millions of children are being over-vaccinated with the second dose of live MMR vaccine. Are parents being given the opportunity to properly give their ‘informed consent’ to the second dose of live Measles/Mumps/Rubella (MMR) vaccine? See below my letter forwarded to Professor Jonathan Temte, Chair of the US Advisory Committee on Immunization Practices, challenging government mandated revaccination of children with the live MMR vaccine second dose. The Advisory Committee on Immunization Practices recommends that children in the United States receive two doses of live measles/mumps/rubella (MMR) vaccines at 12-15 months and 4-6 years. As a result of the ACIP’s recommendation, two MMR vaccine doses are mandated in many US states. However, according to the Merck M-M-R II Information Sheet, most seronegative children are likely to be immune after one dose of live MMR vaccine. Given that most children are likely to be immunised after the first dose of live MMR vaccine, I question whether parents are being given the opportunity to properly give their ‘informed consent’ to the second dose of live MMR vaccine, also often described as a ‘booster’. This question is particularly pertinent as adverse events have been reported after MMR vaccination. I request that the Advisory Committee on Immunization Practices respond to me on this matter, and I provide further supporting information below. The Merck M-M-R II Information Sheet also notes: “…a small percentage (1-5%) of vaccinees may fail to seroconvert after the primary dose”. It is my understanding that failure to seroconvert after vaccination with the primary dose is most likely due to interference of maternally derived antibodies, i.e. if the child is vaccinated at an age before maternally derived antibodies have waned. Other reasons could be problems with the effectiveness of the vaccine product that results in vaccine failure, or that the individual is a poor responder. No reference to published details of the “clinical studies of 284 triple seronegative children” is provided in Merck’s M-M-R II Information Sheet. However, the ACIP report on MMR vaccination appears to support Merck’s information re the high seroconversion rate after primary vaccination, particularly in regards to the measles and rubella components of the MMR vaccine, (although there appears to be some ambiguity about the effectiveness of the mumps component of the MMR vaccine). Are healthcare providers informing parents (and other individuals) of the high likelihood of seroconversion after the first dose of live MMR vaccine, i.e. that most vaccinees are likely to be immune after the first dose of live MMR vaccine, given at the appropriate age? Are healthcare providers informing parents (and other individuals) of the option of antibody titre testing to verify a response to MMR vaccination? It is possible that some careful parents (and other individuals) may prefer to pay for antibody titre testing before having the medical intervention of repeated MMR vaccination. Parents of small children (and other individuals) might be surprised to discover that vaccination ‘best practice’ for companion animals is now more advanced than that for children, with international vaccination guidelines for dogs re live vaccines recommending antibody titre testing rather than an arbitrary ‘booster’, i.e. “…the principles of ‘evidence-based veterinary medicine’ would dictate that testing for antibody status (for either pups or adult dogs) is a better practice than simply administering a vaccine booster on the basis that this should be ‘safe and cost less’”. The blanket recommendation for two live MMR vaccine doses by the Advisory Committee on Immunization Practices appears to be at odds with the Authorizing Legislation of the US National Vaccine Injury Compensation Program, Sec. 300aa-26, i.e. legal representatives of any child or any individual receiving a vaccine set forth in the Vaccine Injury Table should be provided with information on the vaccine, including “a concise description of the benefits of the vaccine” and “a concise description of the risks associated with the vaccine”. In regards to “a concise description of the benefits of the vaccine”, there are no benefits to the individual if the individual is already immune. Most children are likely to be immune after the first live MMR vaccine dose, particularly the measles and rubella components. This can be verified with an antibody titre test for those parents/individuals who want evidence of a response. In regards to “a concise description of the risks associated with the vaccine”, there are risks, i.e. possible adverse reactions, as detailed in the Merck M-M-R II Information Sheet. Reports of adverse events after MMR vaccination have also been submitted to VAERS (the Vaccine Adverse Event Reporting System). Are healthcare providers bringing this information to the attention of parents (and other individuals)? VAERS is a passive surveillance system to which adverse events after vaccination are voluntarily reported. The FDA has acknowledged that “VAERS is a crude tool” and that adverse events are likely to be under-reported. In regards to the lack of safety information re the MMR vaccine, the Cochrane Collaboration’s systematic review of MMR vaccination notes: “The design and reporting of safety outcomes in MMR vaccine studies, both pre- and post-marketing, are largely inadequate.” I suggest there has been inadequate research undertaken on the possibly deleterious long-term effects of repeated vaccination, and that unnecessary vaccination should be avoided. Professor Temte, I again question whether parents (and other individuals) are being properly informed by healthcare providers about MMR vaccination, in accordance with the Authorizing Legislation of the US National Vaccine Injury Compensation Program, Sec. 300aa-26, and whether ‘informed consent’ is being obtained before this medical intervention. For example, the CDC “Measles Vaccination: Who Needs It?” webpage states: “A second dose of the vaccine is recommended to protect those 5% who did not develop immunity in the first dose and to give “booster” effect to those who did develop an immune response.” http://www.cdc.gov/vaccines/vpd-vac/measles/vacc-in-short.htm I question the benefit of this so-called ‘booster’ effect for children who are already immune, particularly to measles and rubella. This entry was posted in Adverse Reactions, Informed consent, Measles/Mumps/Rubella (MMR) Vaccine, Vaccine industry and conflicts of interest and tagged adverse events, adverse reactions, Advisory Committee on Immunization Practices, conflicts of interest, GlaxoSmithKline, informed consent, measles, measles mumps rubella, Merck, Merck M-M-R II, MMR, MMR vaccine, National Vaccine Injury Compensation Program, NVICP, over-vaccination, vaccination guidelines, Vaccine Adverse Event Reporting System, vaccine industry, vaccine marketing, vaccine safety, VAERS on March 6, 2014 by elizabethhart. Recently a UK court ruled that two sisters must have the measles/mumps/rubella (MMR) vaccine against their and their mother’s wishes. Have these girls and their mother been advised there is a blood test available to determine if they are already immune to measles/mumps/rubella? How can these girls give their ‘informed consent’ before the medical intervention of vaccination if the court rules they must have this medical intervention? This case has set a dangerous precedent. Are we all on course for compulsory vaccination, as dictated by the state? Consider for example the prospect of mandated annual influenza vaccination. This looks like the start of a slippery slope. We need to be alert to the implications, and mindful of vested interests in the vaccine industry, governments, and the scientific/medical establishment. See below my email forwarded to one of the solicitors involved in this matter of court ordered MMR vaccination, Philippa Dolan of Ashfords Solicitors. The measles/mumps/rubella vaccine is a ‘live’ vaccine. When vaccinated at the right age with an effective vaccine, i.e. after maternally derived antibodies have waned, most children are likely to be immune for life. The reason given for the second dose is that a small proportion of children might not respond to the first vaccine (usually because of interference of maternally derived antibodies, or possibly because of a fault in the vaccine). My argument is, it is not ethical to force people to have a second dose of the vaccine if they’re likely to be immune after the first dose. At the very least they should be offered the opportunity of a blood test (antibody titre test) to verify a response to the first vaccine, even if they have to pay for it themselves. I suggest there is a very important principle at stake here, particularly when the state dictates that healthy people have to have medical interventions, it’s a slippery slope…. I suggest both those girls should be offered the opportunity of a blood test to measure antibodies (although it would have been better to have had the check soon after initial vaccination). Even the second unvaccinated girl should be offered the opportunity in case she has had natural exposure to the disease. Given the controversy about the MMR vaccine in the UK, and elsewhere, I think there could be a lot of fallout about this, there are some parents out there who I suspect would be very angry they weren’t given the opportunity of a blood test for their child, rather than an arbitrary second shot. I request that you bring this information to the attention of the parents and children in this case, plus the presiding judge, Mrs Justice Theis. I would appreciate your response on this matter. This entry was posted in Adverse Reactions, Measles/Mumps/Rubella (MMR) Vaccine, Vaccine industry and conflicts of interest and tagged adverse reactions, blood test, conflicts of interest, measles, measles mumps rubella, MMR, over-vaccination, vaccine industry, vaccine safety on November 15, 2013 by elizabethhart. The university and CSIRO-funded The Conversation website(1) publishes articles promoting vaccination, but appears reluctant to provide critical analysis on the worth of individual vaccine products. Indeed critical analysis of vaccines seems to be limited to comments on articles, often by members of the general public. The dearth of critical analysis of individual vaccines is a major failing on The Conversation website(2), particularly as the university and research sector has a vested interest in promoting lucrative vaccine products, e.g. the controversial HPV vaccine(3). This lack of objectivity undermines trust in The Conversation(4). Rachael Dunlop is an administrator of the SAVN Facebook page(8), and Vice President of Australian Skeptics Inc(9). Her articles on vaccination are published on The Conversation. Contrary to The Conversation’s assurance that “we only allow authors to write on a subject on which they have proven expertise”(4), Rachael Dunlop’s profile on The Conversation website(10) provides no indication that she has “proven expertise” in the wide range of vaccine products on the Australian National Immunisation Program Schedule(11). While Rachael Dunlop is given carte blanche to publish her opinions on vaccination on The Conversation(12), others of us relegated to the comments section are intimidated by the threat of censorship. For instance two of my comments were censored on Rachael Dunlop’s article “A view on: vaccination myths”(13). Given The Conversation’s general reluctance to critically analyse individual vaccine products, cynics might wonder if The Conversation has its ‘own priorities’, principally to do with selling the products of the university and research sector? Is The Conversation merely a marketing arm for the university and research sector? Vaccines of questionable value are being added to national vaccination schedules. Mass populations of children are being vaccinated against diseases which may never pose a serious threat for them, e.g. human papillomavirus(15). 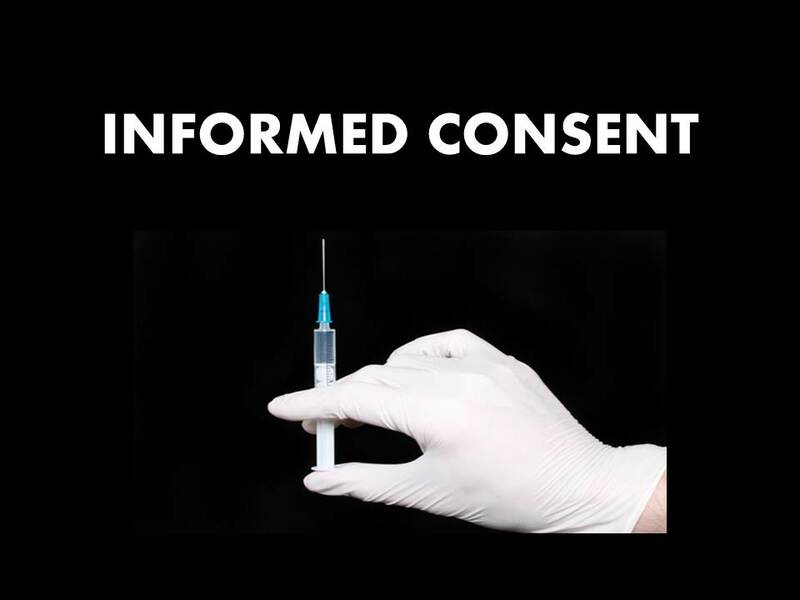 It is questionable whether ‘informed consent’ is being properly obtained before these medical interventions. Vaccine products are being developed for more and more diseases e.g. novovirus(16), chlamydia(17), skin cancer(18), herpes(19), HIV(20), malaria(21) etc, etc, yet nobody has any idea of the long term cumulative effect of all these medical interventions, or ‘unintended consequences’ for disease development, consider for example the possible implications of genotype replacement with HPV vaccination(22); vaccine-related reassortment of rotavirus(23); HBV S protein mutations after vaccination(24); and increasing selection among the B. pertussis population in Australia in favor of strains carrying prn2 andptxP3 under the pressure of acellular vaccine–induced immunity(25). Aggressive marketing by the pharmaceutical industry and industry-affiliated ‘experts’, including lobbying for compulsory vaccination with vaccines of dubious value, is threatening citizens’ autonomy. It seems we are now expected to meekly accept every vaccine product manufactured by the vaccine industry. The increasingly lucrative vaccine industry benefits from the oppressive climate that has developed on the subject of vaccination. The potential conflicts of interests of academics working in the areas of vaccine development and promotion, and the influence of these academics on government policy, needs to be examined. It’s time there was an investigation into the relationships between governments, the vaccine industry, and the industry’s handmaidens in the scientific/medical establishment, but who can we trust to do that? The mainstream media has generally been completely useless on this matter, and incapable of providing critical analysis, merely supporting the status quo(26), likewise The Conversation. It’s time for The Conversation to lift its game on this subject and provide some objective critical analysis of individual vaccine products, and the lucrative international vaccine market. Explainer: what is the flu? Catch cancer? No thanks, I’d rather have a shot! Does aluminium cause Alzheimer’s and breast cancer? Help needed: can you fix the science/society divide? 7. This has been my personal experience – see responses to Elizabeth Hart on The Conversation discussion threads listed above. As far as I am aware, editors at The Conversation have done little to address concerns about vaccines of questionable value such as the controversial HPV vaccine; the arbitrary second dose of the measles/mumps/rubella (MMR) live vaccine; annual flu vaccination and controversial ‘gain of function research’; or pertussis ‘boosters’ of the existing vaccine against the new strain. 26. For example, the Murdoch media’s aggressive “No Jab, No Play” campaign contributes to the oppressive climate surrounding vaccination – “Big win for No Jab, No Play as NSW state cabinet approves tough new vaccination laws”. The Telegraph, 29 May 2013. In this climate it is difficult to raise legitimate questions about vaccination practice, e.g. questioning arbitrary revaccination of all children with the live measles/mumps/rubella (MMR) vaccine, as most children are likely to be immune after age appropriate vaccination with an effective first dose of this vaccine. This entry was posted in Flu Vaccine, Human Papillomavirus (HPV) Vaccine, Measles/Mumps/Rubella (MMR) Vaccine, Vaccine industry and conflicts of interest, Whooping Cough / Pertussis Vaccine and tagged flu vaccination, HPV, HPV vaccination, measles, measles mumps rubella, MMR, over-vaccination, vaccine industry, vaccine safety on November 13, 2013 by elizabethhart.